Although many of today’s newspaper headlines accuse the Chancellor of moving away from a manifesto pledge, after launching a £2 billion tax rise on self-employed workers to provide extra money for social care, there were no other significant tax or pensions changes in yesterday’s Budget that will have any immediate impact, which means we can plan for the tax year ahead with confidence and clarity. As part of a drive to make the tax system fairer, two main changes will come into effect from April 2018. The annual dividend allowance introduced last year will remain at £5,000 for the 2017/18 tax year, but will then drop to £2,000 from April 2018. In particular, this will hit small and medium sized business owners who take their profits as a dividend. Employer pension contributions will become an even more attractive way of extracting profits from a business. And if the director is over 55 they can now have full, unrestricted access to their pension savings. The self-employed class 4 National Insurance contributions will increase from 9% to 10% from April 2018, with a further increase to 11% from April 2019. This is intended to close the tax gap between the self-employed and employed – this coincides with the removal of the flat rate class 2 NICs for the self-employed from April 2018. Self-employed individuals have been eligible for the same flat rate state pension as employees since April 2016, and so the increases are expected to go towards paying for this. A new 25% tax charge on some QROPS transfers effectively restricts penalty-free movement of tax-relieved UK pension funds overseas strictly to the ‘vanilla’ circumstances originally envisaged. But the tax clampdown, which applies to transfers requested after 8 March 2017, will hit those moving their pension to ‘third party’ jurisdictions to avoid UK tax. And anyone whose status changes within 5 years of a transfer, such that they fall outside the penalty-free categories, faces a tax charge after the event – reducing scope for ‘jurisdiction hopping’. As well as recovering tax for the Exchequer, this should also help protect UK pension savers against overseas pension scammers. As part of the Government’s objective to stop the loss of tax revenues through avoidance schemes, it confirmed that a financial penalty on the enablers of a scheme that fails the GAAR test will be introduced from July. Enablers include anyone involved in the design or promotion of a scheme and who may ultimately benefit from a client using the scheme, for example, by charging them a fee. The penalty could be as much as the amount of tax avoided. The intention is clearly to deter anyone in the supply chain from getting involved in the first place, killing such schemes at first base. Demographics continue to drive the search for innovative solutions for long term care funding. The government will set out proposals for future funding of social care in a green paper to be published later this year. The Chancellor confirmed that a ‘death tax’ (a flat rate charge applicable to all estates) would not be among the measures considered. 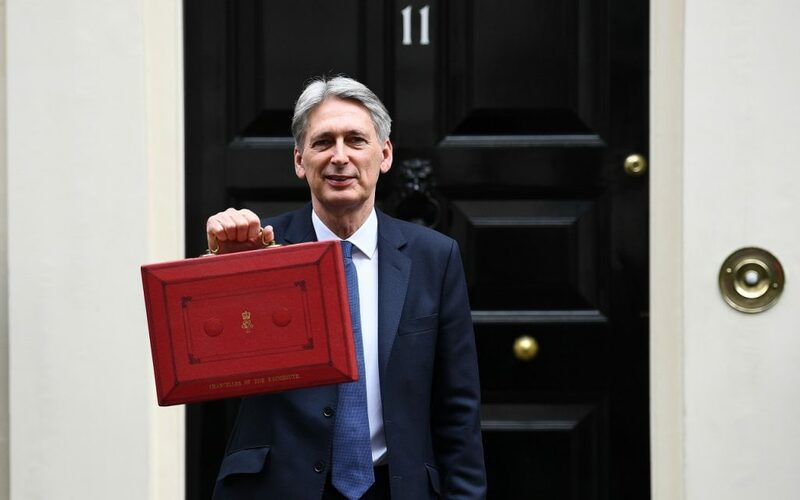 Phillip Hammond’s first Spring Budget will be his last Spring Budget as future Budgets will move to the autumn, with a toned down statement on the economy delivered each March. This will give welcome breathing space between the announcement of Budget changes and their introduction.